Click here for WGBH television scheduling. Getting to the Nutcracker’s 60 minute version will be aired nationwide this holiday season…..again… on most PBS stations. Set your DVR! Eli has graduated from the prestigious Royal Ballet Academy in London. He is now preparing to audition for companies. On his list are Royal Ballet (of course), San Francisco Ballet and American Ballet Theater. Eli is on Instagram @Eli.Raphael. **Update 9.18 Eli will be dancing at ABT. Welcome back to the US Eli. Adam is at Columbia University in NYC where he is back to dancing (modern) after taking a year off to rehab shoulder (car accident) and knee (dancing) injuries. Luis continues his tenure dancing for the Des Moines Ballet Company where he just completed the 2017 Nutcracker run. His alter ego, Yzma S. Diamond Rosenberg, performs in the evenings at a local Des Moines nightclub. Follow Luis on Instagram @Ysma.Diamond. Matisse is a graduate of the Bolshoi Ballet Academy. She is now dancing with the Bolshoi in Moscow where they have just completed a European tour. She is amazing and beautiful. Matisse has a Russian boyfriend and you can follow her/them on Instagram @Matisselove. Mikhael is in France having graduated from a full scholarship at the Princess Grace Ballet Academy. He is now a corps dancer with Opera National du Rhin. (Dad is on board with his chosen occupation.) You can follow Mikhael on Instagram @Mikhaelkinley. Elizabeth danced for a couple of years in Utah with Ballet West and is now dancing again in Los Angeles while attending school at Santa Monica College. You can follow her on Instagram @Lizardemoji. Javier was accepted as one of the youngest dancers at the National Ballet School of Canada in Toronto where he is shining. He is on a direct path to fulfilling his lifelong wish of becoming a professional ballet dancer. Edgar is attending California State University in Fullerton where he is studying business. He is an accomplished ballroom and ballet dancer. He helps teach at his parent's dance school and participates in ballroom competitions. Follow Edgar on Instagram @e.d.g.a.r.k. PBSSoCal to air Getting To The Nutcracker this weekend. They come together to play and sing a list of songs compiled by their bandleader. When the music starts, they are transformed. The rhythms and melodies stir something deep within them. These men and women, leading lives with almost no social interaction who show very little emotion outside the rehearsal space, dive right into flawless execution without a single page of sheet music. Memories otherwise entirely unreachable are unlocked. The music has a euphoric and quality of life changing impact. Through uniquely personal stories, from inspiring daily triumphs to the sobering toll of slow mental decline, viewers of The 5th Dementia Documentary will see an emotional, revealing look at this inexplicable phenomena. Updates on dancers highlighted in Getting To The Nutcracker. I am nearing the end of my second year at The Royal Ballet School in London. I also am completing my senior year of high school online, which adds to my load significantly. Needless to say, my life has been extremely busy and full on. However, I am enjoying it so much- living in London around so much beauty and culture whilst receiving this world class training makes me feel lucky to say the least. A recent highlight has been being 1 of 6 students asked to represent the school for a week at the Assemblé Internationale Festival in Toronto, which occurs every four years and unites 21 top tier ballet schools. The festival is hosted by The National Ballet School in Canada (where Javier studies now) so it was wonderful to see him. Such a small world! I also got the opportunity to produce my own choreography on my colleagues, which culminated in a performance. The rest of this school year is leading up to the exhilarating end of year show on the Royal Opera House stage. After that, I plan on spending a nice summer back home with family and friends before leaping into my graduate year, involving a search for a professional company contract. Javier's father, Ken let us know that Javi and Eli were briefly united in Toronto. The Festival (see Eli's post) was live streamed. Click here to view on their website. Both Eli and Javier were part of the finale (session 38 and 44). Javi was front row in the "Canadiana Reel" for the first piece and Eli danced in the last piece. 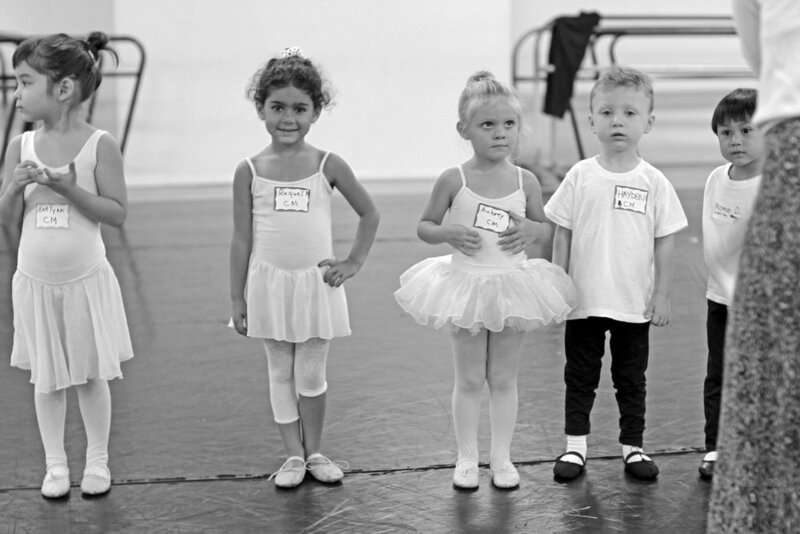 Javier misses LA but loves his training at the National Ballet School. The school is extremely competitive and he is hopefully awaiting his re-acceptance to continue next year. Luis is doing well in Des Moines where he is dancing, choreographing and teaching classes at Ballet Des Moines. He enjoys the night life that Des Moines has to offer! You can follow him at @yzma.diamond on Instagram and Facebook. Mimi, Matisse's mom, has let me know that Matisse has been working very hard at the Bolshoi Academy in Russia. She has been placed in second course Russian which is extremely advanced and she is in class with all Russian girls who have been at the academy since they were 9 years old and younger. They are all the best of the best! Matisse is studying and rehearsing for her final exams where she will perform on the Bolshoi's stage. She loves the academy and feels honored for the opportunity to be learning from and following in the footsteps of the teachers who have taught some of the greatest ballet dancers. Matisse also has a Russian boyfriend which helps in learning the nuances of the Russian language! Mikhael received a contract with the Royal Swedish Ballet and Ballet National du Rhin in France. He is currently finishing his season with Princess Grace Academy and will begin his professional career with .... Ballet National du Rhin on August 21st! His father is pleased with his success and is slowly coming around to accepting Mikhael's choice in life to be a dancer. CONGRATULATIONS MIKHAEL!! BRAVO. Edgar's mom Shushana says that Edgar is doing well at Fullerton University where he is majoring in business. He teaches ballroom and ballet classes at the Shushan Dance Studio (shushandancestudio.com) and will be performing La Corsair in June at Lanterman Auditorium with choreography by his father Alexander Khachaturov. National PBS stations to air one hour version of GETTING TO THE NUTCRACKER this holiday season. PBS stations nationally will air the one hour version of GETTING TO THE NUTCRACKER again this holiday season. Check your local PBS listings for dates and times. Tickets for the Marat Daukayev Ballet Theatre Nutcracker on sale now. Watch Getting to The Nutcracker to see what happens behind the curtain then see The Marat Daukayev Ballet Theatre's Nutcracker live at the Luckman in Los Angeles. Maria Kochetkova will be a guest Sugar Plum again this year. Autographs in the lobby post performance with many of the students from the film. Click here for tickets. Click here for more information on Park City Film Series screenings. The one hour version of Getting To The Nutcracker will air nationally on PBS stations again this upcoming holiday season. PBS stations will be uploading the doc from the National Educational Telecommunications Association (NETA) today for their holiday schedules. Check your local listings for presentation dates and times in November and December. Eli Gruska: Eli has spent the last year with The Royal Ballet School. In his own words "I am still absolutely loving TRBS and living on my own in London. The days are long (8:30 - 6) and the training is demanding, but it's the perfect place for me and the hard work is all worth it when I see the improvement. We have just barely delved into the rehearsal process for the end of the year performance on the Royal Opera House Main Stage, which is very exciting for me as it will be my first time performing there. It has been a dream of mine for ages and I can't wait for it to come true." Eli has since returned to Los Angeles for his summer break. The end of semester performance went beautifully! Matisse Love: Matisse spent last semester training with the Bolshoi in Russia. She had been invited by the school after winning first place in their summer intensive program. She was placed in second course Russian which was extremely advanced and she was in class with all Russian girls who had been dancing at the Bolshoi since they were little. Matisse studied hard and rehearsed for her final exams which she passed when she performed on the Bolshoi stage. She loves it and feels very honored to have the opportunity to be learning and following in the footsteps of so many amazing dancers and teachers. Matisse is back in Los Angeles for her summer break enjoying the sun and friends. She turned 17 today! Happy Birthday Matisse. Mikhael Kinley Safronoff: Mikhael has been training on full scholarship at Princess Grace of Monaco Ballet Academy in France. (His dad is French and lives there). He injured his left ankle which ended up requiring surgery in April and has recuperated well. He received a scholarship to attend the Dresden Summer Course in Germany for 2 weeks at the end of July. Luis Delcid: Luis has been dancing with Ballet Des Moines where had roles in Nutcracker as well as other classical and contemporary pieces. He has been teaching the kids' ballet classes at the school and working part time at Dillards during the company break. A nice review we hadn't caught ! Getting to The Nutcracker will have holiday theatrical screenings at Laemmle Theaters from 12.5 - 12.10.15. Q and A's with Director, Serene Meshel-Dillman and special guests from the film after each show. Free tickets to be given away at each Q and A for the Marat Daukayev Ballet Theatre's Live Nutcracker performances 12.11, 12.12 and 12.13. Tickets go on sale December 1st. Click here for tickets and information.